Right at Home Scottsdale is a family-run business owned and operated by my husband Chris and me. 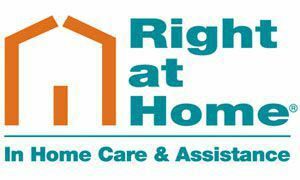 Our desire to be owners of a Right at Home - Home Care Agency began with our passion to advocate for seniors who desire control over where and how they age. Chris has been a pharmacist for 25 years and I have been working with children with disabilities as a special education teacher beginning 1995. Chris and I have both been caregivers to family members and I provided respite and habilitation to children with disabilities as well. We provide non-medical, in home care to people who need: dementia care, after surgery care, care for chronic conditions or degenerative disorders. Our caregivers are experienced, and hold CPR/First Aid certifications. They are qualified to provide an array of services ranging from personal care and meal preparation to light house-keeping and laundry. Our services are 24/7 with someone always answering your phone call. We have affiliations with: AZNHA, National Parkinson's Foundation, ALCA Aging Life Care Association, HCAA Home Care Association of America, ACHE American College of Healthcare Executives, Foundations - Alzheimer's, Stroke, Diabetes, MS, Arthritis and Scottsdale Chamber of Commerce. The highlight of Chris’ career has been speaking directly to people to offer needed information on a variety of topics. He enjoys educating communities on current trending topics, such as medications (purpose of medication, how it should be taken, missing a dose, side effects, interactions with food, recalls), insurance questions, heart disease, diabetes, arthritis, high blood pressure/cholesterol, cancer, respiratory diseases, Alzheimer’s Disease, osteoporosis, Parkinson’s influenza/pneumonia, falls, shingles and depression, to name a few. We provide thorough training for our caregivers and certify them in a variety of areas. Chris and I support our clients and caregivers by doing bi-monthly home visits to check in on clients and caregivers to ensure our shared goals are being met regarding client care. We lead with love and compassion and provide the kind of care and training we would want for our loved ones. We value both our clients and caregivers and give them the very best.